You’ve just gotten off the plane and you’re in a new country, ready for a fabulous vacation! You can already imagine the awesome people you’re going to meet, the food you’re about to indulge in, maybe a few late nights and some unforgettable stories (#wanderlust). Waiting by the luggage carousel, you’re eagerly anticipating your suitcase on that carousel…time passes and the bags from your flight stop coming. An awful realization hits your jetlagged mind: my bag is missing! We know. Lost luggage is the WORST. Panicking will not help you. Yes, this situation is stressful and awful, but you’re going to get through it. Chances are that your bag was simply misplaced. According to the Société Internationale de Télécommunications Aéronautiques’s (SITA) 2016 Baggage Report, 79% of mishandled bags are just delayed. Another statistic reports that there is a less than 2% chance that your bag is truly lost (meaning that it’s never recovered). Take a deep breath and steady yourself. Remember also that airlines today have sophisticated methods of locating luggage. Stay calm, you’ll get through this! Can you locate my bag? What number should I call for updates on my missing bag? When can I expect an update from your company about my missing bag? If my bag is found, will your company pay to have the luggage delivered to me at my hostel/hotel? There probably isn’t anything more you can do here at the airport, so now is a good time to go check into your hostel or hotel. You may want to buy some essentials – various toiletries and basic clothes – to replace your missing ones. Ask at your hostel or hotel where you can find such items for cheap or if they will provide them to you. (Sorry, but a new iPad doesn’t count as an essential, unless you packed an iPad in your missing suitcase and can prove it.) Be sure to keep a list of expenditures, and hold on to any receipts! On domestic US flights, the maxiumum cost of “reasonable expenses” you incur because of your missing bag is $3,400, on international flights, it’s about $1,600. Keep your expenditures reasonable so that you don’t need to negotiate with the airline. Don’t wait for them to call, be proactive and get updates. Get reimbursed for your checked baggage fee. You paid that (ridiculous) fee to ensure you had your bag when you arrived, but the airline didn’t hold up their end of the deal! You deserve that money back. (If you actually get it back depends on the airline – but it never hurts to try!) You should also check with your credit card company, since they may give you a reimbursement for your lost bag. Just make sure that you used their card to purchase the flight, then call your company and find out. The US Department of Transportation sets laws about lost luggage on American domestic flights; for international flights, it’s the Montreal Convention. According to both, if your bag truly is lost, the airline must compensate you for it and your lost items. You won’t get the full price of the lost items but a depreciated amount, unless you can prove the items you lost were brand-new. Always carry spare chargers, adapters, and converters for all your essential electronics in your carry-on bag. When your bag is missing, a working and charged phone is necessary at the very least for you to be reachable for the airline when they’ve located your bag. Also, pack some essentials that can hold you for a few days, until you get to a store or (hopefully!) your bag reappears. 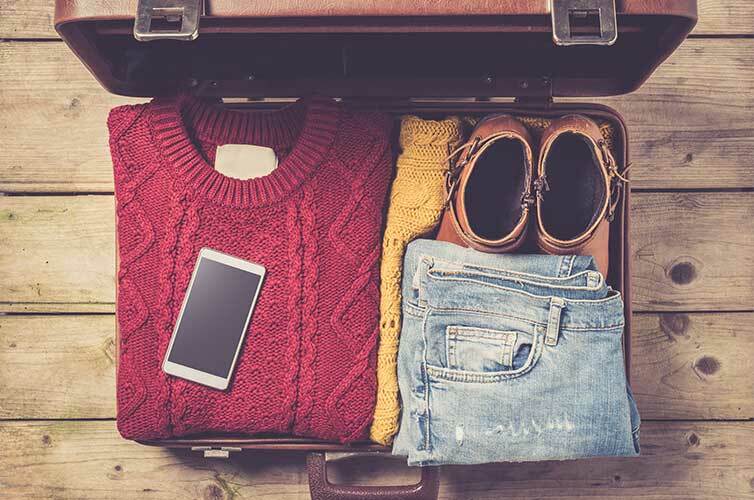 Some general items could be: travel-size toiletries like shampoo, conditioner, soap, a small comb and brush, toothbrush and toothpaste, a bathing suit (if you’re going to a warm location), socks, pajamas, and a spare set or two of layerable, light clothes. If you’re prone to losing things or just like being careful, take a picture of the tickets with your phone. Take a picture of your bag as well, so that you can show any airline agent exactly what your lost luggage looks like. Never leave old stickers and baggage tags from previous trips on your bag – they contain routing information and could send your bag somewhere else. Before packing your suitcase, check it for any residual stickers or labels from previous trips. Many suitcases look alike, and sometimes people take the wrong bag. Mark your suitcases as yours: buy a suitcase or paint one in a distinctive color or pattern, tie a colorful bandana to the handle, anything that screams, “HEY MORON, THIS ISN’T YOUR BAG!” at less fastidious fellow travelers. Also, be sure to have a luggage tag on your bag that bears your name, email address and phone number. Do NOT put your address on the tag: you don’t want to give someone directions to where you live. Never put anything in your checked bag that is sentimental. The safest place for your items is with you. While dealing with lost luggage is obviously not an ideal situation, we promise you will make it through this. There are plenty of actions you can take preemptively to alleviate the stress of this situation, such as always travelling with an extra day’s outfit in your carry-on. This way, you can travel with peace of mind, knowing you will have one less thing to worry about if your bag goes MIA. And remember, make sure you contact the airline immediately to get your lost luggage back. Be proactive and you’ll be just fine! If you crave adventure and are prepared for the solo journey of a lifetime, here are some tips that may help you along the way. 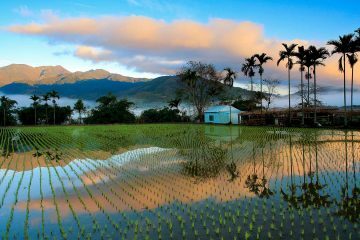 A trip to the heart of Asia will have you (and your Instagram) falling in love with bustling cities and beautiful scenic views.